Busy week here! 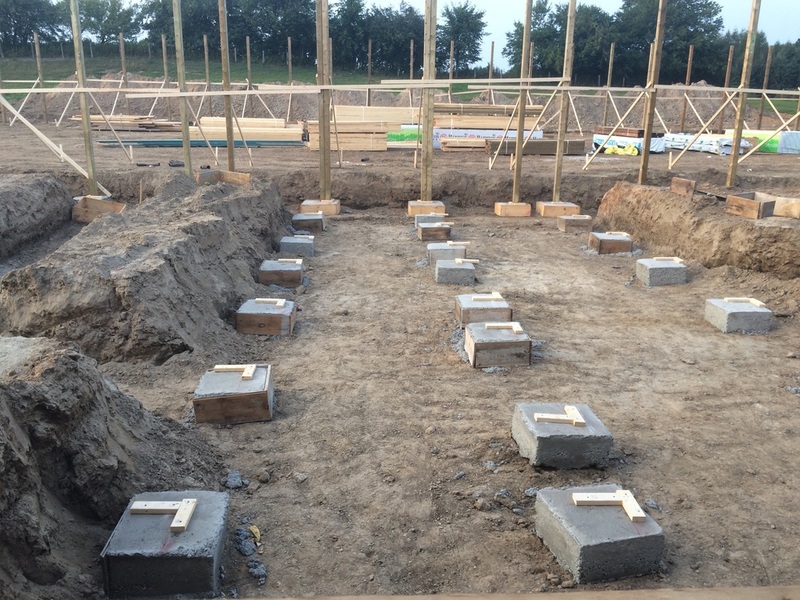 All the footings for the new structures were poured and posts are in. 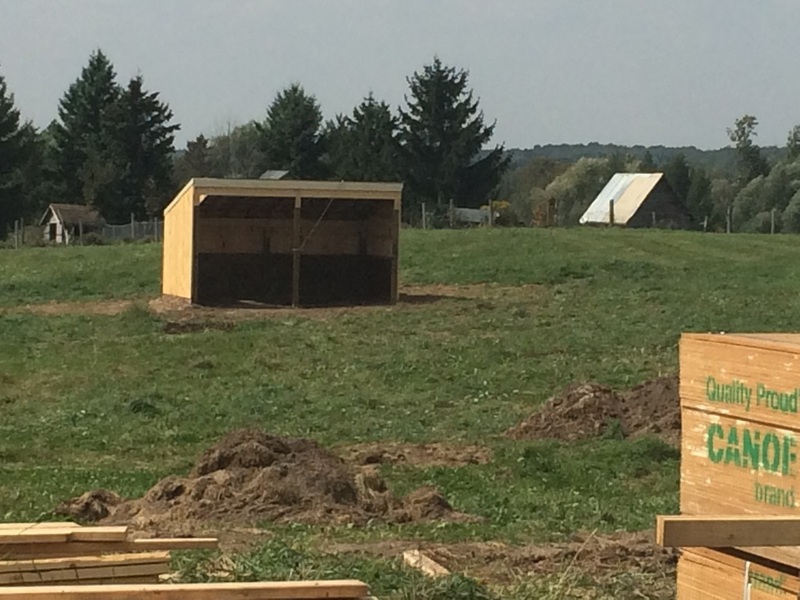 The run in sheds are basically done just awaiting roofing material which will match the barn. 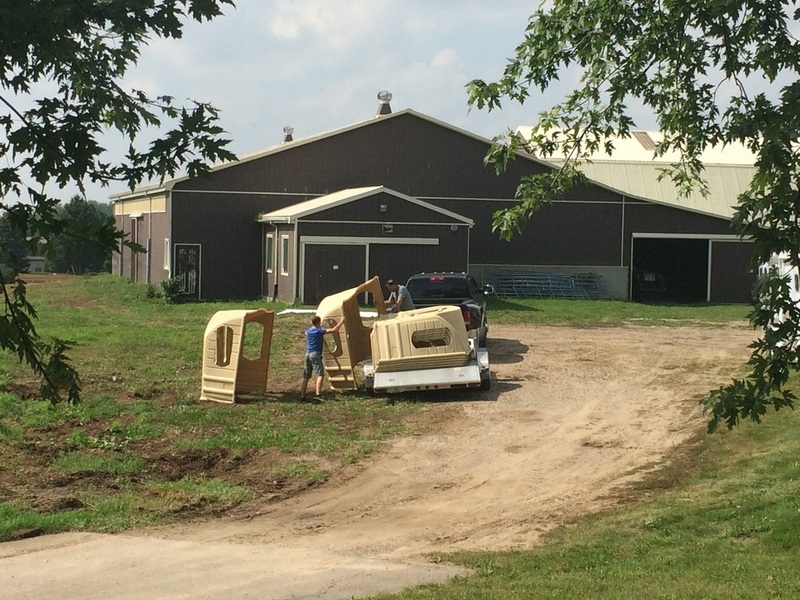 The new electrical is well underway and most light fixtures are installed in the existing barn. The mats are out of the stalls and the new automatic water bowls and Ipex plumbing are ready to go on site, the plumbing will be run under the stalls deep enough to not freeze then the stalls will be re-levelled and re-matted. We picked up our new round bale feeders "hay huts" from our friends at Brubacher's Harness and Supplies and got them set up in the paddocks. Fencing starting late Tuesday/early Wednesday this week. Phase one of Shauna's big move is the end of this week so we are getting her house all tidied up and ready for furniture! We expect her back with horses September 28!